We where expecting a pretty good tide 3.7 ft. Given my past experiences with the full moon, was not expecting much. I have wanted to check the copepod population back in Centipede Bay for a while. With a nice high tide I was thinking that should be the best time to check. We loaded the boat and headed out. By the time we got out the tide was too high to get mud minnows, so I knew it would be a day of casting lures. I saw a few redfish as I started patrolling the back waters. The tide was high enough that I could go anywhere, which means the redfish can be in many places they normally do not get a chance to get to. After seeing 8 fish and not able to get close enough without spooking them I had all but given up. Then to my surprise a 31 inch snook hit the lure on the drop. 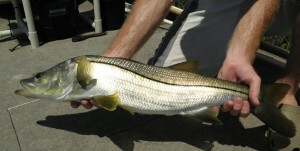 It was really surprising, of course snook are out of season. Next we trolled for copepods and found that Centipede Bay was loaded with them. Which is not surprise, since Centipede Bay is a fish nursery. Copepods are the first foods of most marine fish. After the good news with the copepods I thought I would cast a few times out in the bay. The winds had picked up a lot and we could really cover some water. 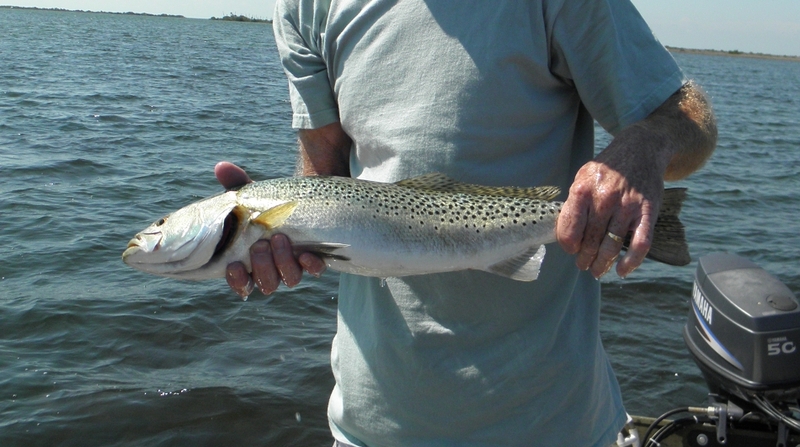 We caught a few lady fish and one nice trout. Now that I had 2/3 of an inshore slam, I was off to get the redfish... The easy one. I looked a few places and flushed out a couple, but never landed one. I guess a slam was not in the cards for this day. .. The Redfish Theory, Centipede’s Bay ConunDrum. The hard way is the easy way!